Posted on January 29, 2017 at 2:59 am. Tremendous time at the third Queens Baseball Conference at Katch Astoria. I am 3-for-3 in QBC and had plans to go to the one snowed out last year. This was the first time I was on a panel, thanks to Greg Prince. Bill Ryczek, Greg, and I were the anchorman panel to close out the event, commemorating the 50th anniversary of Tom Seaver’s debut season of 1967. I got a little worried when I saw that Greg and Bill had written remarks, but luckily I brought along a Seaver Danbury Mint statue (making its outside my laundry room debut) plus a copy of the latest edition of 100 Things Mets Fans Should Know and Do Before They Die, which has numerous Tom Seaver chapters to choose from. Greg assigned me the saddest Seaver day: June 15, 1977. I read chapter 13: “The Seaver Deal.” One person said he got misty during it. Well, that made my day. So did getting a gift of a 1976 bicentennial patch from Mets memorabilia man Jessie Burke, winning a signed Ron Hunt ball in a silent auction from Scott Green’s Play at the Plate booth, jawing with old pal and uniform creator/historian Todd Radom, and meeting former MLB PR man Jeff Heckleman plus Mets pregame host Pete McCarthy. And of course old friends Sharon and Kevin Chapman, Arnold Dorman, Mets by the Numbers founder, author, and pal Jon Springer, Uni Watch’s Paul Lukas, Game of My Life New York Mets author Michael Garry, Mr. Met, and the organizers of the event, including Shannon Shark and Dan Twohig, who also aided in a couple of books of mine that came out last year. And there are other names I am too tired to drop. It was just a fantastic time. It always gets me geared up for the baseball season and to get back to work writing about baseball. I am still in the midst of a hiatus I have to take every few years to keep sane. There really is nothing like the Mets community—because anyone else would have given up on the whole thing long ago. But fans do not give up easy. Or forget. God bless ya! Posted on January 25, 2017 at 3:02 am. The last time the Mets opened the season on Sunday Night Baseball, it was a rematch of a heartbreaking loss to a Missouri-based foe. In 2007 it was the Cardinals. The Mets smoked them in the opener, swept the series, and looked great until the last frightening fortnight of the season. In 2016 it was the Royals. They smoked the Mets and Matt Harvey, the teams spilt the series, and New York turned it on in a final formidable fortnight of the 2016 season. The Mets are a fickle bunch, and their fans can be, too. After a 2015 run where everyone was healthy and producing, where late-inning and late-season rallies happened with remarkable regularity, the Mets seemed rundown and out of luck for much of 2016. In 2015 they did not win a single regular-season game against either the Cubs or the Pirates, both playoff teams, but they overcame. In 2016 the Mets went a staggering 2-11 against the Rockies and Diamondbacks, teams that went a combined 36 games under .500. The Mets also had losing records against divisional foes Washington and Atlanta. During the final homestand I sat in the upper deck and saw the last-place Braves sweep the Mets on a game-saving, over-the-fence catch by center fielder Ender Inciarte (he earned the 2016 Gold Glove right there). It left the Mets tied with the Giants and Cardinals for the two wild card spots. There were just 10 games left in the season, and given the Mets’ past history with the Cardinals, it was hard to think they’d steal a spot from them. But they did. The Mets went 7-3 to finish the season, taking three of four from the Phillies, starting off with the best—and most important win of the season the night after that crushing loss to the Braves. Back and forth they went with the Phillies, Yoenis Cespedes tied the game in the fifth and then put them ahead in the seventh, only to see the Phils score three times in the eighth in a rare stinker outing by Addison Reed. The Mets rallied to tie it in the ninth on a Jose Reyes two-run homer. And then after Jeurys Familia faltered in the 11th and two runs scored, a three-run, walkoff bomb by Asdrubal Cabrera saved the day. 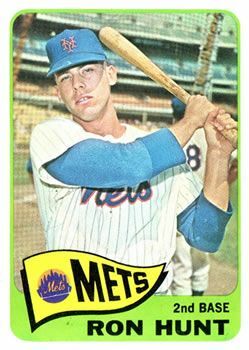 From that point forward, during a part of the season when Mets teams have faded badly over the past 20 years, the Amazin’s were, well, amazin’. Their only two losses in games that mattered: against the Phillies in Flushing, when they were down by 10 runs before rallying to make it 10-8 with the tying runs on base when the game ended, and against the Marlins on a night when Jose Fernandez was supposed to pitch but did not. I was heading to Florida to visit my dad, with plans to see one of the games in Miami. Fernandez was scheduled to pitch that first game. He had never lost to the Mets, had a career 1.34 ERA against them, with the Mets hitting just .177 against him. Fernandez was cocky, but I liked him. He loved the game and it reminded me of watching young Pedro Martinez in Expos garb dominate a good Mets club. But Fernandez died in a boating accident the day before I left for Florida, the day before he was supposed to pitch against the Mets. I walked around the mall-like stadium complex by myself that Monday night. It was somber but still had the bustle before a big-league game, especially with both teams still with a chance for the postseason. But when the Marlins took the field all donned in number 16 jerseys with Fernandez on the back, it was hard to think about a game. I don’t like Dee Gordon, or anyone who cheats the game (he spent half the year suspended for performance enhancing drugs), but it was hard to not feel something positive when he hit Bartolo’s second pitch over the right-field fence at that massive park. It was his only home run of the year. He cried when he got to the dugout. The Mets put together a comeback, but lost that game. Against this team, playing the role of opponent in something bigger than the game, the Mets could have done their usual September slide. But they did not. The Mets were respectful of the Marlins the last two games, but they did not let down. Jay Bruce, who had been quiet as a dormouse since being acquired from the Reds for never-to-be Favorite Nonplaying Met Dilson Herrera, came alive the last week of the season. The Mets won those last two games in Miami and then won the first two games in Philly, the second of which clinched the top wild card seed. Anytime the Mets make the postseason, it is a real achievement. The way this season looked, it was a grand achievement. Beating out the Cardinals, not beating themselves, and holding it together when they had to with a pitching staff made of Noah Syndergaard, Bartolo Colon, and three guys I hadn’t heard of before the year began. I thought Terry Collins deserved Manager of the Year, but for the second year in a row, he didn’t even come close in the voting. And I did not think much of the man’s managing ability (and occasionally still have questions) until last year. After so many things went right in 2015, so many things went wrong in 2016. Reaching the postseason at all was amazin’ indeed. Now look, the one-game playoff/playin/playwithyourself game had its chance to convince me of being a worthy postseason format for baseball. A homer by a banjo-hitting third baseman against the league’s best closer did not change my belief that the wild card teams (if two such teams are really necessary) should play a best-of-three format reminiscent of the old way that the National League handled ties at the end of the Year (see “Shot Heard ‘Round the World, The”). The Mets were bounced from October quick as a wink, but it was still a tremendous October. The Indians had their best team in years and with a little luck might have ended a drought that stretches to when my Dad, who just turned 85, was a teenager. (Happy birthday, Pop!) My grandfather, who has been dead for two-thirds of a century, was seven years old when the Cubs had last won. Something had to give. But I would not give back one iota of the 2016 Mets season. Wright gets hurt, Reyes comes back. No deGrom? We get Gsellman. Duda and Walker are out? Loney and T.J. Rivera are in. Rene Rivera takes over when Travis d’Arnaud turns as small as the letter that starts his last name. Seth Lugo, for crying out loud. Josh Smoker, for corn’s sake. A team that has done nothing but frustrate me for a long time made me proud. They played exciting, meaningful baseball, and I walked out of there thinking the season was over the Wednesday night Inciarte stole that would-be home run. I walked out of there two Wednesdays later knowing that their season was done, but having no doubt they had given their best. We want a world championship, just like everyone else, but barring that we’ll take a fun season. And these Mets gave us that and more in 2016. Here’s to even more in 2017. You want fun in 2017? Well, how about the Queens Baseball Convention this Saturday at Katch Astoria at 31-19 Newtown Avenue, Queens, NY 11102. I’ll be on Greg Prince’s 50 Years of 41: Tom Seaver Panel at day’s end, about 5 p.m. Be there or be square.